Living in Harlem from 1999-2002, Belgian-Moroccan photographer Charif Benhelima creates this personal and powerful document of Harlem, degraded and almost deserted, a landscape of spattered walls, shadowy figures, dirty streets and battered buildings. Using Polaroid 600 film and camera (and occasionally a red filter), the photographer composes works that speak to the continuing condition of African Americans in today’s United States – yet also uplift the viewer with their originality and almost prayerful spirituality. 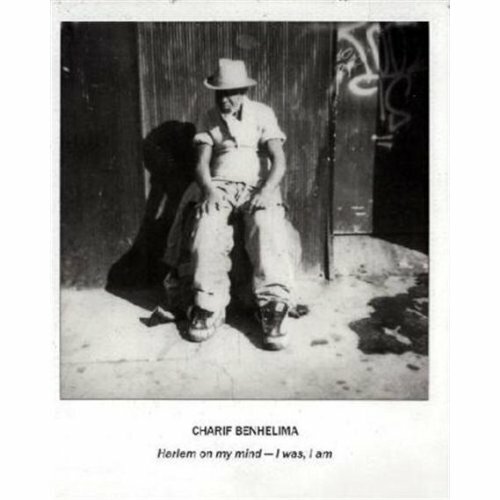 The title of this exhibition catalog by the highly regarded Benhelima recalls the Metropolitan Museum’s overly rosy Harlem on my Mind show in 1967, but this body of work provides a compelling counterpoint for the 21st century.